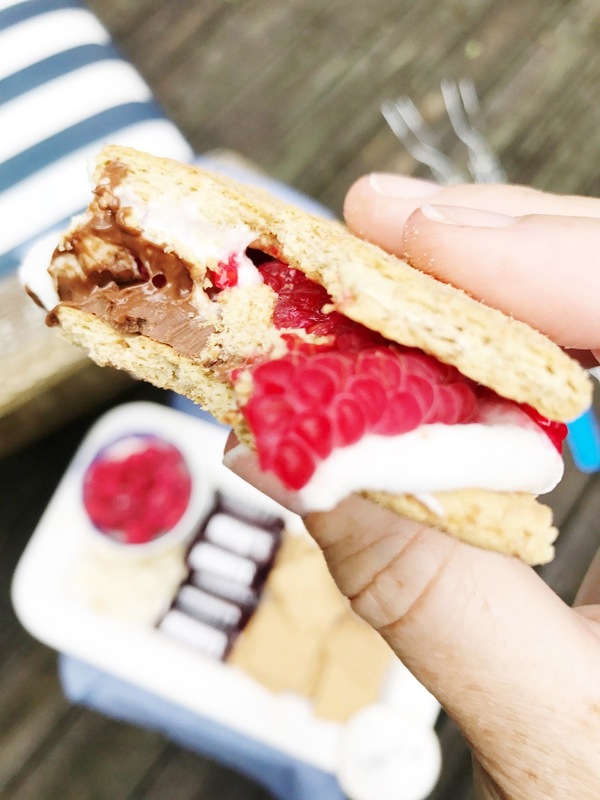 the pink clutch ...: S'mores Galore! 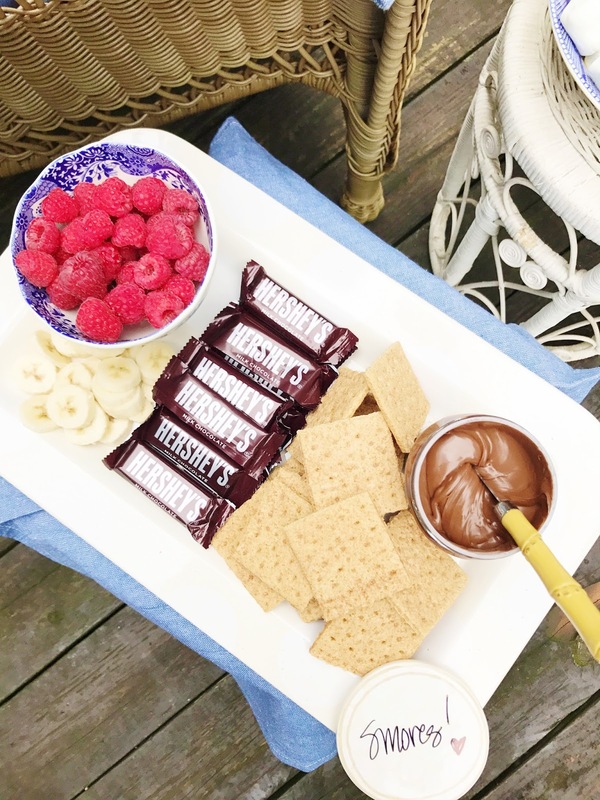 Happy National S'mores Day! 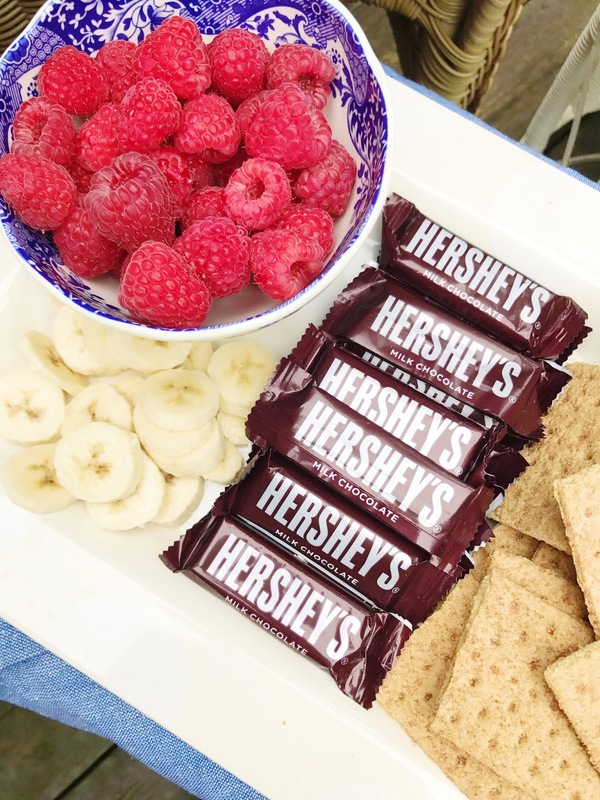 Since this is a favorite dessert for the Minears I knew it was the perfect day to share our recipes. Lawyer loves to grill and since he uses a charcoal grill it is easy to roast marshmallows as soon as we are done with dinner. 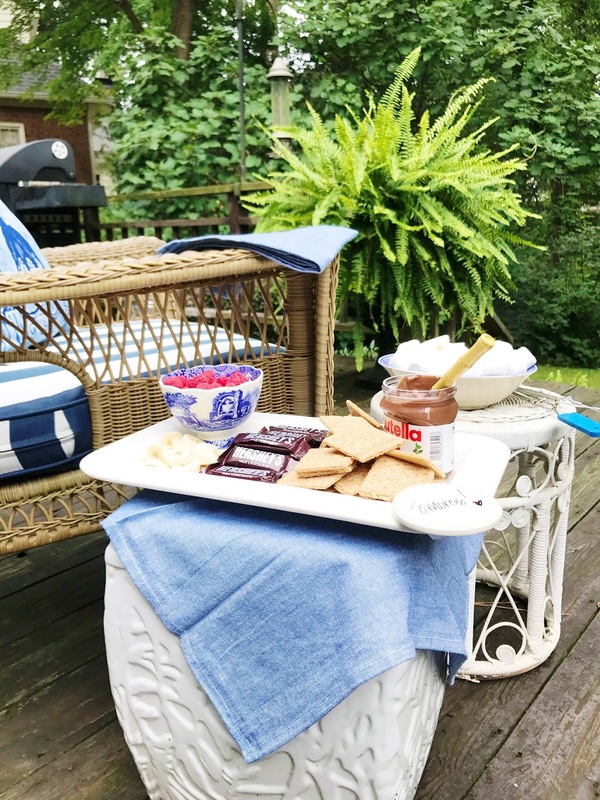 The kids will ask, s'mores tonight?, during dinner at least once a week. I keep a container will all of the necessities to make s'mores so I am ready at a moments notice. 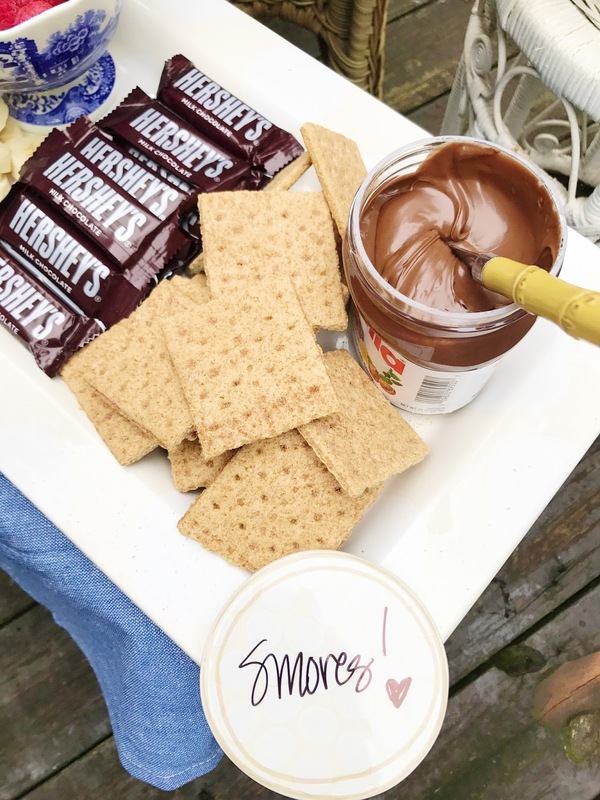 We stock more than one type of graham cracker (cinnamon for most, honey for Little Bit and vanilla for Laywer), marshmallows, Hershey's chocolate (I like the snack size) , skewers and a jar of Nutella. I add in fruit and anything else I can think of when we pull out the box. Whatever I have on hand that works we mix in. This is the best way to come up with new varieties. #yummy! Once again my Happy Everything mini platter works perfectly for us. I added this attachment and it was ready to use. 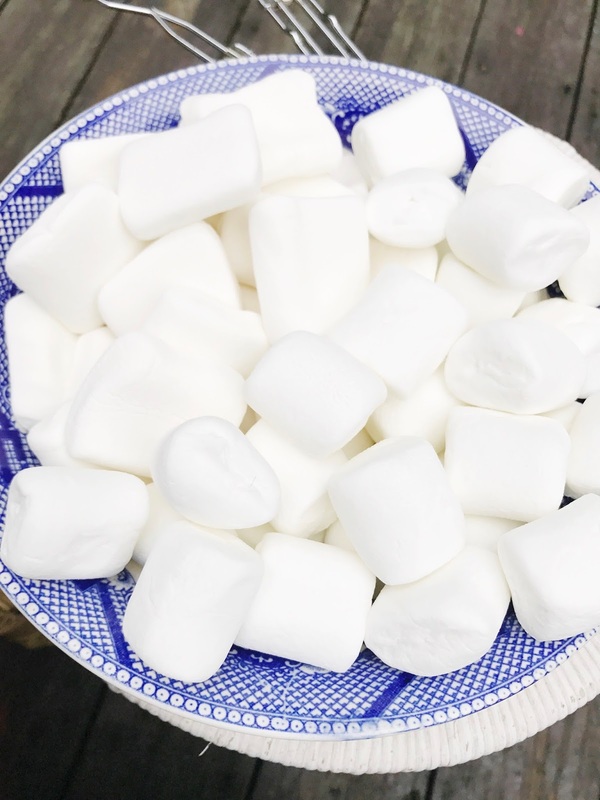 It is the perfect size for holding all I need if I don't add in fruit, but since I added my favorite add ins I just tossed our marshmallows in a bowl. We end up finishing up with extra roasted marshmallows any way so it worked out perfectly! 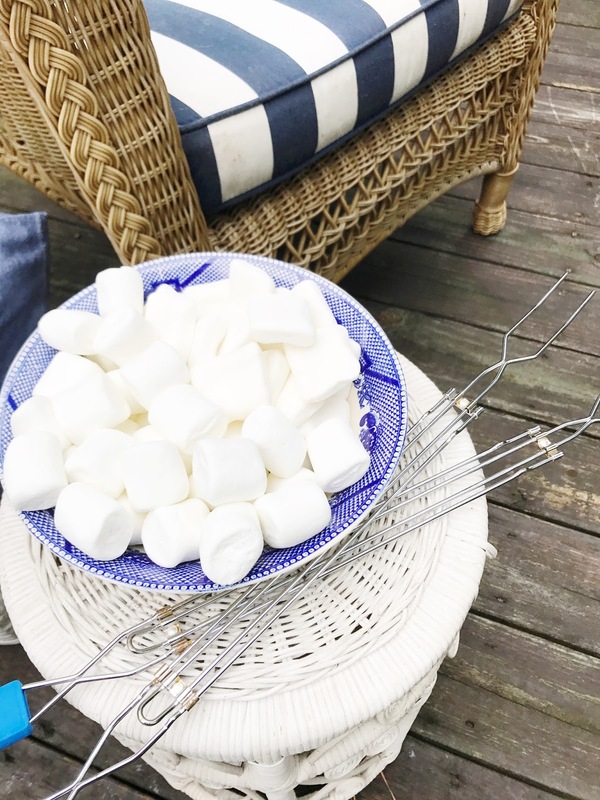 I have used both the original marshmallows and StackerMallows and I like both of them. The kids prefer the original ones but I like mine made quickly so I chose the stacker variety. It is totally up to preference. They both are so yummy! Lawyer uses a charcoal chimney when he grills and it is perfect for roasting marshmallows after dinner. You just add a little charcoal to the bottom and light it. In a few minutes after all the charcoal is lit you are ready to roast. For the best tips on how to use a charcoal chimney refer to this post. And if you have never used one I can tell you it makes lighting and using the charcoal grill easy peasy! We all have our favorite combinations. Mine is chocolate + marshmallow + raspberries. Absolutely delicious!! I have also played around with Nutella + banana and that one is pretty yummy as well. 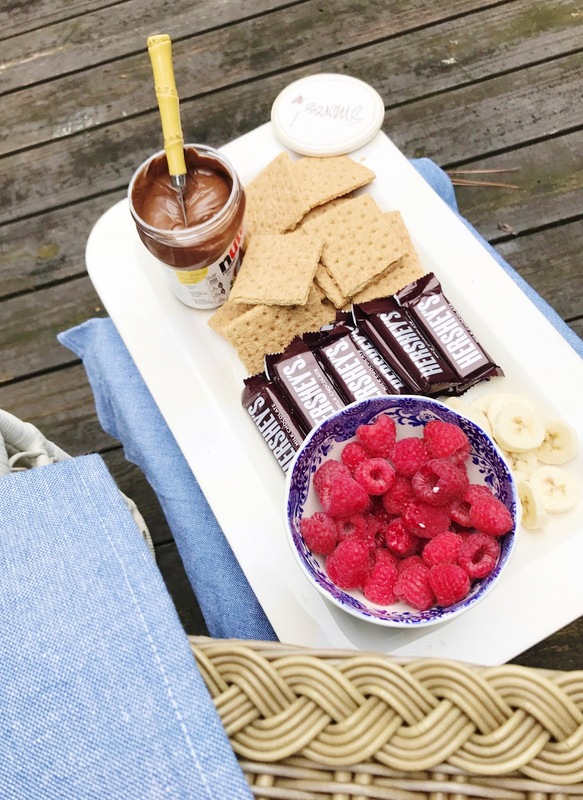 Little Bit eats hers with honey graham crackers + marshmallows + Nutella and she swears by it. The boys are pretty traditional but that is no surprise. 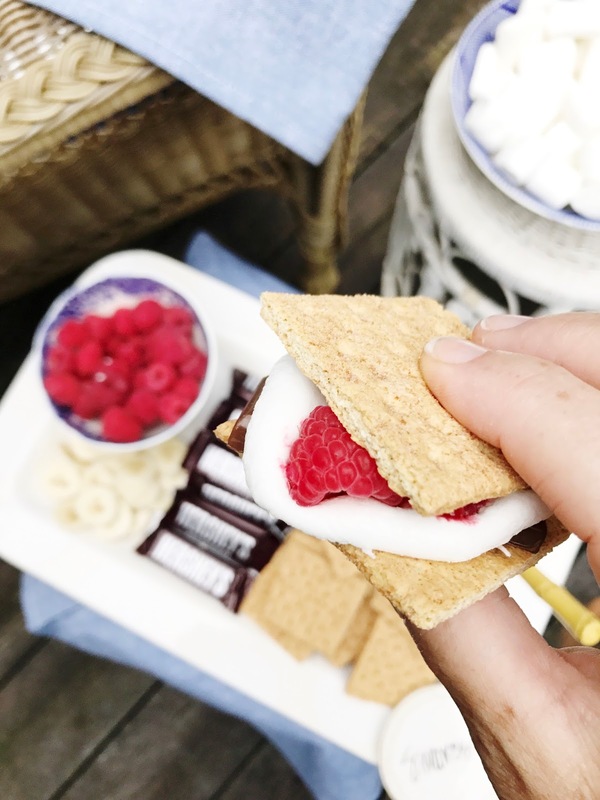 The oldest will add fruit to his and the middle one burns his marshmallows to a crisp and piles two together with his chocolate and graham cracker. Lawyer likes the vanilla graham cracker by itself and his perfectly roasted marshmallow straight of the stick, no chocolate included. Variety is the spice of life, right? 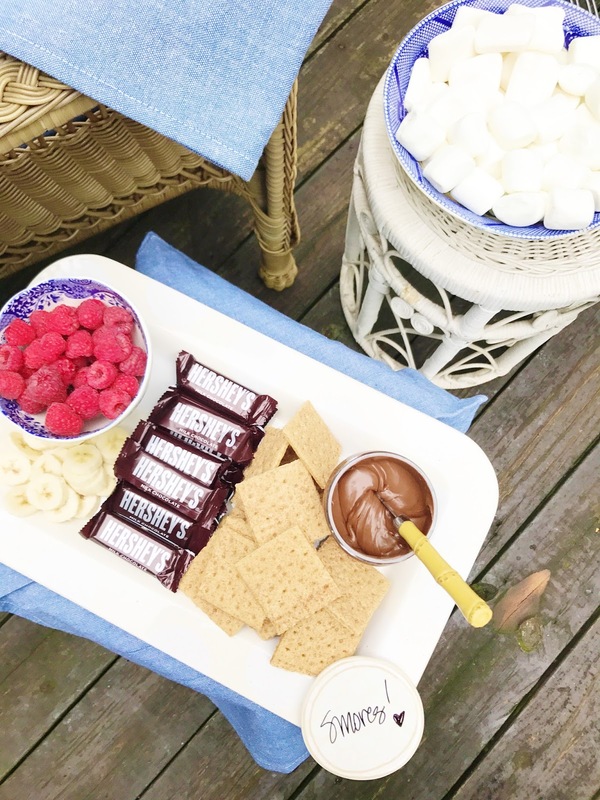 Happy S'mores Day! Yum!!! You had me at chocolate and raspberry. My fav combo.